This is a motto I live by, however recently it’s been super challenging to get a good night’s sleep. After narrowly avoiding a car accident (the driver in front of me fell asleep at the wheel – read more), and seeing this post by naturopath, Norelle Hentschel called ‘Why Sleep Hygiene Should be Part of Your Everyday Routine’. I knew it was time to prioritise self-care. You can’t be a good parent without listening, and it’s hard to Staylisten when you’re utterly sleep deprived. 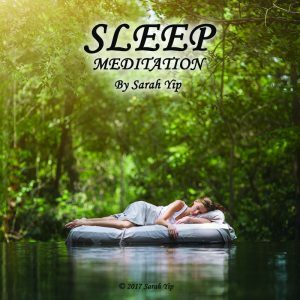 So, based on feedback from my Spirit Guides and clients, I’ve created a Peaceful Sleep meditation to help you to unwind, no matter how anxious you’ve been feeling. No meditation experience is needed, and the track is suitable for all ages (even children). It uses imagery of a wishing tree and shooting stars. What’s the purpose of the track? This meditation will help you to let go of worry, reconnect with your true nature as a self-healing being, and have a sound night’s sleep. How do I know it will be effective? I’ve been testing this meditation on myself and clients for some time. Even my husband, Kris started falling asleep while helping me to record the track? FYI we have a recording studio in Brisbane if you want to make a low-cost, high-quality podcast, meditation CD and other recordings or videos. Contact Kris on 0428 626 727 for details – his website has more information under Media Production. All ages and levels of meditators, from beginners to advanced. Kids will love it. No experience needed. Just a desire to let go and connect to your purest guidance. Do I have to sit up or lie down? I suggest lying down in bed, as you’re likely to fall asleep during, or after the track plays. It’s up to you. Will it help me if I see 11:11 and repeating numbers? Yes – I have been researching the 11:11 on clocks phenomenon for years and read for hundreds, if not thousands of people who are 11:11 See’rs. Meditation is one of the best ways you can harness this portal for change and evolution. I plan to produce more specific numerology-based meditations in future, but this is an excellent starting point. It will help you create a bridge between the worlds, so you can lift to the next level of wellbeing and self-confidence. What if I can’t see anything when I’m meditating? 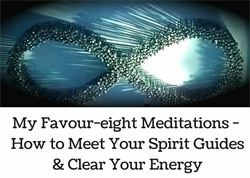 Read my article on 6 Myths About Meditation – Why It’s Easier Than Your Thinking If you practice this visualisation (an audio link is in the post), this may help you get started with meditation. If you can daydream, think of your last holiday, or remember your first kiss, then you can meditate – it’s just another way we use our imagination to help ourselves. If you still find nothing is happening, try drinking more water, eating, stretching, or going for a walk first. It’s hard to tune in, when you’re dehydrated, hungry, tired or restless. Once you feel nourished, you’ll have more energy to meditate. And remember that using a computer or phone just before sleep also makes it harder to let go. Try to switch them off at least an hour before you snooze. Please note: some people are better at seeing Spirit (clairvoyance), while others tend to hear Spirit (clairaudience) or feel Spirit (clairsentience). It depends on what you are willing to receive and how to learn, so don’t compare yourself to others, just focus on what you can do. Will it help me go to sleep? Definitely! If it doesn’t help you to relax after you’ve tried it for at least a week at bedtime, email me and I’ll organise a refund. I’d also love to hear your suggestions for improvement or to receive your feedback. Will you be making other meditations? That’s the plan. I have many more in the works, so keep an eye on this website and don’t forget to sign up on my homepage for email updates and invitations. What if I have more questions about the meditation? Then email me with Peaceful Sleep Meditation in the subject line. Please allow a week or two for reply, as I have young children to juggle. Please note that: All MP3 downloads are copyright Sarah Yip 2017 and are for personal, non-commercial use only. You may not redistribute, transmit, assign, sell, broadcast, rent, share, lend, modify, adapt, edit, license or otherwise transfer or use the content in any manner except for your own personal, non-commercial use. Use by educational or non-profit organisations is also not permitted without written permission from Sarah Yip. You may rip, burn, or transfer the content between your personal devices for your personal, non-commercial use. Important – do not play these tracks while driving. Background Music is ‘Adrift Volume 2’ by Christopher Lloyd Clarke. Thank you for your understanding and support of my work. To be clear – I don’t do psychic readings or write articles to embarrass people. On the contrary, I share my knowledge to help others experience freedom from fear and self-love. Numerology is the language of the Universe, and when you understand it fluently, all kinds of magic will manifest in your daily life.